A report on Wednesday claims Apple recently leased office space in Kanata, a suburb of Ottawa, Canada that BlackBerry's QNX Software Systems arm calls home, suggesting the iPhone maker might be looking to develop automotive software in the region. Citing people familiar with the matter, the Ottawa Business Journal reports Apple will take up residence in the G. Best Building at Kanata Research Park. 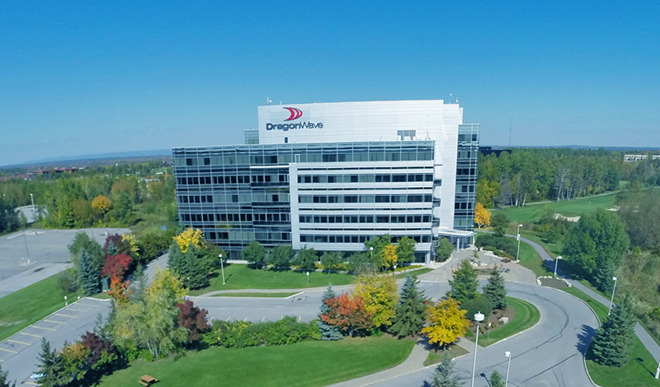 Ottawa-based tech company DragonWave is currently the main tenant —its logo dominates the building's facade —but the website of building owner KRP Properties has a listing open for a 22,100-square-foot suite. A description of the property notes a "full-floor office suite" with an executive boardroom, meeting rooms, offices, a server room, lunchroom, lab space and even showers, according to the report. Kanata is home to QNX Software Systems, a BlackBerry offshoot focusing on automotive software solutions. There is no evidence to support claims that Apple plans to conduct automotive product research in the region, but opening an office near QNX's headquarters is sure to raise a few eyebrows. According to recent reports, Apple is looking to greatly expand its overseas R&D operations. For example, a Japanese research center in Yokohama will supposedly tap into local talent specializing in materials science, vehicles and health industries. Apple will also break ground or expand existing facilities in China, Israel and the UK university city of Cambridge. Apple is widely rumored to be working on a self-driving electric vehicle under the code name "Project Titan." AppleInsider last year reported that the operation was based out of a secret facility in Sunnyvale, Calif., but the ambitious project is thought to have grown substantially since that time. The company could expand into a nearby property in San Jose or offload R&D to international offices.